Was Ohio State� s Dr. Snook guilty of the bloody murder of Theora Hix? Of this I have no doubt. However, it is the circumstances of her death and the conflicting accounts of the actions and intentions of this puzzling man that lie at the center of the most important question raised by this case and by this fascinating book. Should Dr. Snook have died in Ohio�s electric chair? You be the judge for a change. �Judge Teresa L. Liston, Franklin County Municipal Court, ret. Diana Britt Franklin is the author or co-author of a dozen books, including The Good-bye Door, a multi-award winner in true crime and featured on television's Investigation Discovery channel. She worked as journalist for three major dailies and wrote a cooking column for Universal Press Syndicate for more than 25 years. She lives in Dublin, Ohio. Nancy Sanor Pennell attended The Ohio State University, majoring in fine and commercial arts. She was the director of The Heritage Museum, Columbus, for a number of years. Her grandfather, Dr. David S. White, was dean of OSU�s College of Veterinary Medicine at the time of the Theora Hix murder. 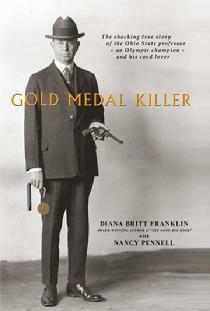 Having heard of the story most of her life, she teamed up with Diana Britt Franklin for the writing of Gold Medal Killer. Mrs. Pennell lives in Dublin, Ohio.